I had signed up for this race at the end of 2017 as it sounded like an interesting challenge. I was glad I did as it sold out fairly quickly. The Saturday before the race was exactly the most ideal race preparation. A full day at work followed by a family birthday/get together meant that I had around 5 hours sleep. When my alarm clock went off, it definitely felt like the middle of the night although this was soon sorted with a strong coffee. We entered the Temple Newsam Estate, parked up and went to collect our numbers. It was at this point, we couldn’t believe how cold it was. We then bumped into the others (Claire Lloyd, Bill Wilson, Nicola Shaverin, Lisa-Douglas Perry, Phil Robertson, and Rob and Michelle Masson) It was really good to see friendly/familiar faces. We headed back to the car to get ready for the race (I came to the conclusion that even after 5 years of running/racing, I still can’t pin a number on my vest straight!) I felt under prepared as I hadn’t bought my gloves and I just had shorts to run in. We sat back in the car for a while to keep warm. I’m pretty sure Neil Curry was tempted just to stay in the car, meanwhile I was questioning/reminding myself as to why I was doing this. We jogged to the start, got a team photo and soon we were off. I decided to sit comfortably at the back of the field. I had recently ditched my Garmin and decided that I just wanted to enjoy the experience. 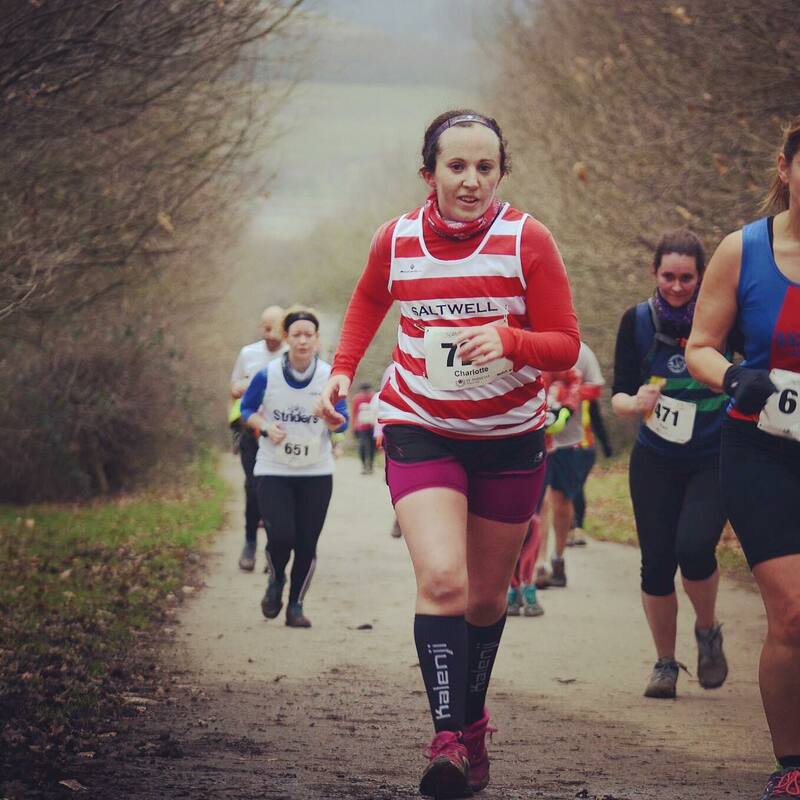 I felt really good and strong and before I knew it I was slowly overtaking other runners. I found myself feeling amused at around 4/5 miles in, there was a queue of runners who had stopped, and were wasting (in my opinion) a lot of energy trying to carefully walk/step around the really muddy bits. Whereas I just ran fully straight through the middle and managed to splash them all with mud. At 7/8 miles I caught up with Nicola Shaverin, with my LiRF head on I felt guilty for overtaking, but Nicola insisted that I carry on (Thanks Nicola, hope you recovered ok) Again feeling really good, and with no pain in my Achilles or knee, I decided to push on and managed to overtake Phil, Claire and James on a hill. At 9 miles, I really pushed on hard, and the encouragement/support from other runners around me was brilliant. On the final hill, I ran with 4 or 5 other ladies and again we all encouraged each other to keep going. The final straight was on the grass/flat (unlike the Hadrian’s Half Marathon which had the finish line at the top of an incline) and I managed a strong sprint finish. The race was really well organised and the marshals were brilliant (lots of shouts for Saltwell and thanks for travelling down from Gateshead) The race was excellent value, at around £16 to enter, with a goody bag, technical race t-shirt and medal. I absolutely loved the whole day from start to finish. I completed the race in approximately 1hr 48 minutes and was 57th in my age category (Senior Female) I’d definitely take part in this race again and complete another trail race sometime soon. 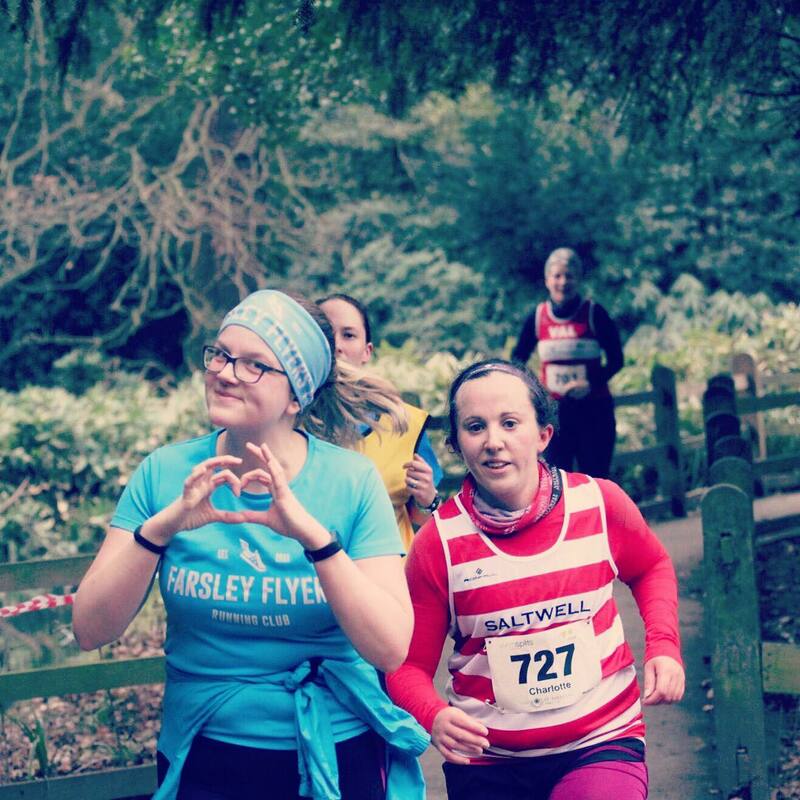 The experience made me reflect that joining Saltwell, in January 2013, aged 21, and when I really wasn’t sure if I was good enough, was one of the best decisions I’ve ever made. 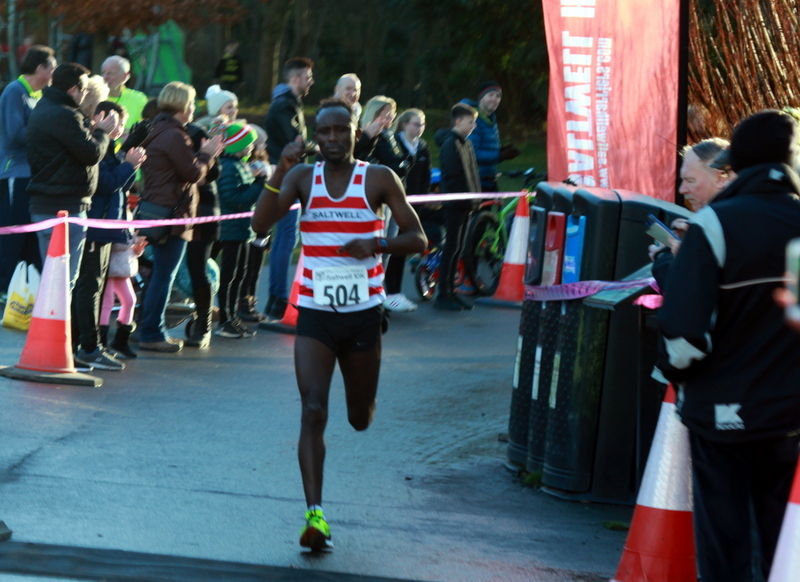 ABRAHAM TEWELDE had to pull out all the stops to retain his Ronnie Walker 10k road race title over a testing three-lap course in and around the outskirts of Saltwell Park. 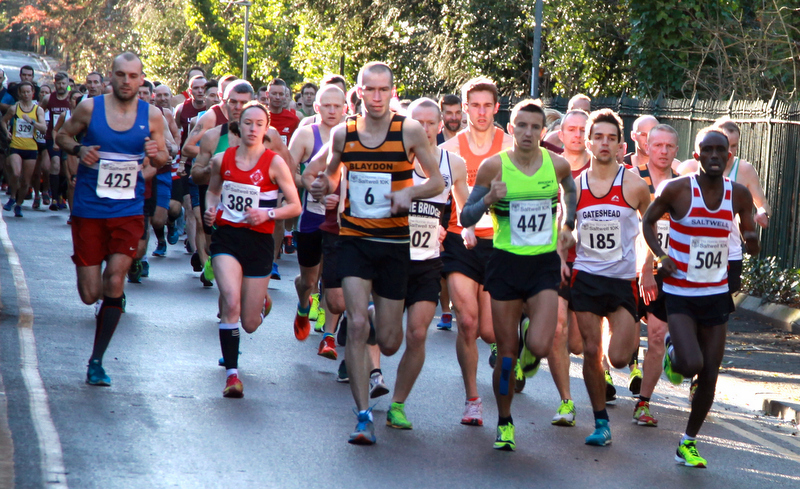 The Saltwell Harrier just made it to the start line in time to defend his crown seconds before the near-500 strong field, who had observed a minute’s silence for the former Saltwell stalwart, set off. Having had no time to warm up the Eritrea-born athlete settled in behind Gateshead’s Conrad Franks and by the completion of the first circuit the pair had a nine-second lead over Dan Jenkin (Durham City) with Tom Charlton (Tyne Bridge) and Nick Samuels (Sale) tracking them. The leading positions changed on lap two with Twelede taking up the running and opening up a significant advantage over his main rival as the gaps behind began to widen. Twelve months previously Tewelde, who had been living in Gateshead for just a matter of months, spreadeagled the field to win in 31min 55secs however, this time round the pace was much slower. At one stage on the final circuit Twelede was leading by around 50 metres however, a determined effort by Franks saw the lead diminish considerably and then, with around 800 metres to go and rounding the park lake for the final time Franks hit the front. However, it was only a momentary lead for Twelede battled back to regain control before coming home to win by just three seconds in 32:41. Franks, who finished third in last year’s race, claimed the runner’s-up award after leading Jenkin across the line by 39 seconds. 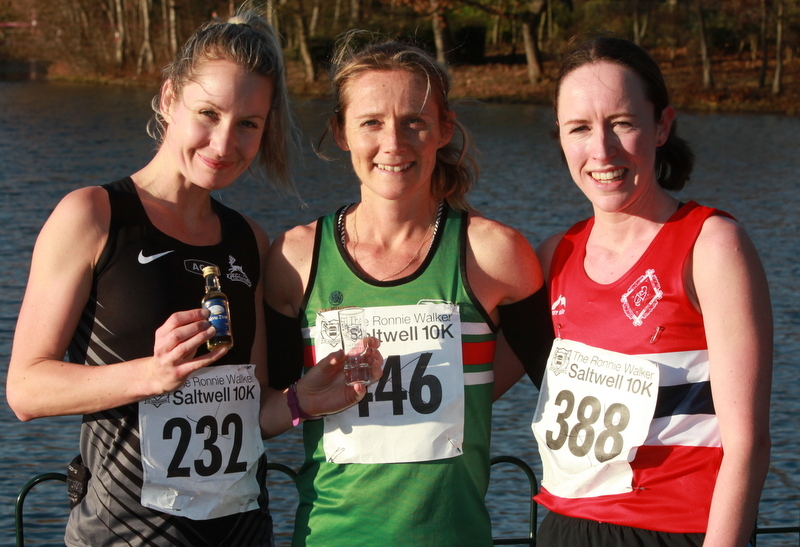 Tyne Bridge Harriers, led by fourth-placed Charlton, won the team prize ahead of a delighted Low Fell trio. While the men’s contest was a close affair the women’s race saw a comfortable victory for Loughborough-based Sonia Samuels. 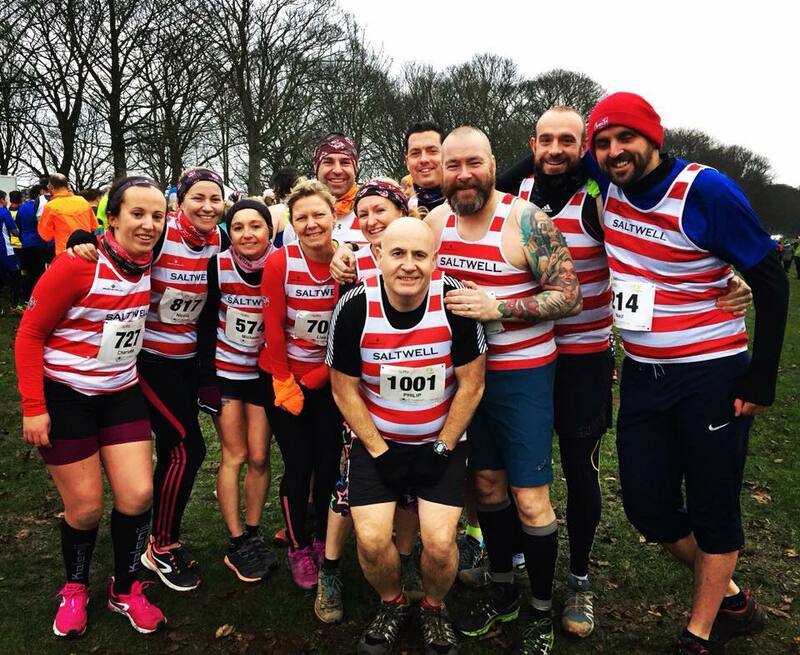 The recently-crowned North East Counties cross-country champion, was contesting the race for the first time but despite that, she was confident enough to lead throughout. After completing the first circuit Samuels was lying in 13th place overall with another former Wallsend athlete, Danielle Hodgkinson (Birchfield) in second place just ahead of North Sheilds Poly’s Charlotte Penfold. With around 3k to go Samuels had moved up two further places into ninth, a position she would hold all the way to the finish. Hodgkinson, who had dropped out of the NE Counties XC Championships at the midway point due to injury when lying in third place, showed no signs of discomfort on this occasion and crossed the line just 28 seconds behind Commonwealth Games-bound Samuels. Despite slowing slightly on the final circuit Penfold hung on well to claim third place. Samuels, who will be in action once more over 10k in Milan, Italy on New Year’s Eve, said after her victory: “It’s not a course for fast times but having said that I still enjoyed myself. 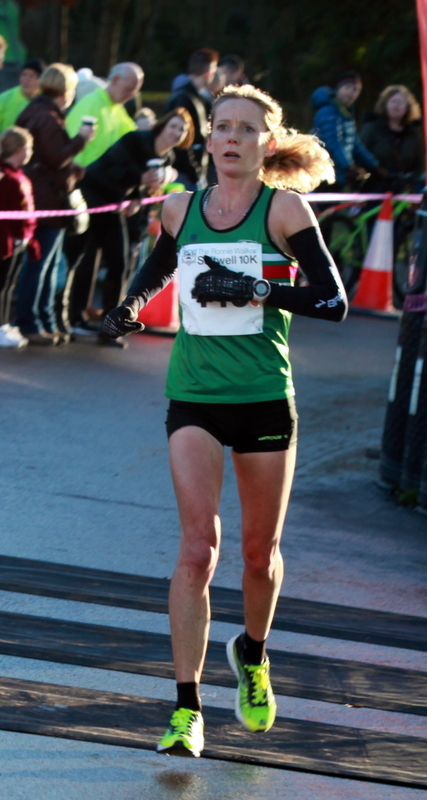 “I wanted a hard run today and while it was tricky at times with so many twists and turns and having to weave through the tailenders I’m quite happy with my time.